I had a jam packed weekend that included a cute photo shoot for stylist and designer Andrea Fenise for her new girl's clothing line called sweet kisses. The photo above is literally the first one I pulled, so surprised I caught the girls looking so sweet after doing so much chasing them around. Look for her new website to shop online soon. / Behind the scenes photo below of Andrea putting the girls in a good mood for the shoot. Love her! 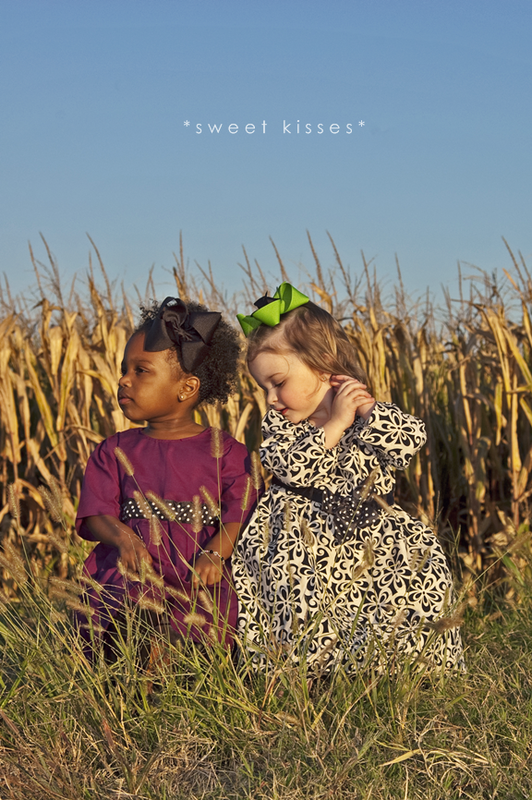 Photos taken at the Mid-South Corn Maze near the Agricenter. They were so accommodating. Thanks so much to them.